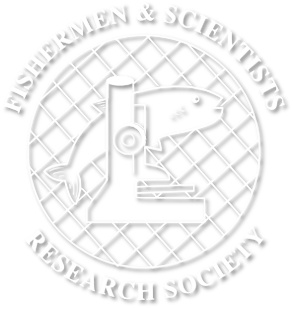 Shannon Scott Tibbetts first became aware of the Fishermen and Scientists Research Society after completing her BSc in Aquaculture from the NSAC in 1998. She began on a volunteer basis and welcomed the opportunity to join the team once a position became available. She began her career with the FSRS as a lab technician working on the 4VsW Sentinel Project in 1998 and has gradually gained more responsibility until reaching her current position as Research Biologist. She has a background in biology with a BSc in Biology from Dalhousie University (1993), and a keen interest in science and marine science in particular. Shannon is a full time mother of two growing boys and enjoys spending time outdoors with them and her husband; an animal nutritionist. Contact Shannon here. Jess, originally from Truro, has called Halifax home for the last 7 years. She graduated two years ago from Dalhousie University, completing a Bachelor of Science in Marine Biology with a focus on sustainability and aquaculture. She has previously worked with Fisheries and Oceans Canada as an Aquatic Science Biologist studying microbial community structures with the Center for Offshore Oil, Gas, and Energy Research (COOGER), as well as with the Atlantic Zone Monitoring Program (AZMP). Jess loves to fish, SCUBA dive, practice yoga, and read. Contact Jess here. Jade Petritchenko has recently joined the FSRS team as a research assistant. She graduated with a Bachelor of Science (honours) in Marine Biology and a minor in Sustainable Aquaculture and Fisheries Ecology from Memorial University of Newfoundland. Her focus is invertebrates. Jades’ honours research project concerned reproduction in thyasirid bivalves. She has also worked with lobster, scallops, snow crab and jonah crab. Contact Jade here.